Azerbaijan International Operating Company (AIOC), a consortium of 10 major international oil companies and SOCAR, is developing the Azeri, Chirag and deep-water portion of Gunashli fields in the Azerbaijan sector of the Caspian Sea. 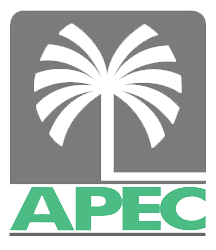 Their 30-year Production Sharing Agreement (PSA) was signed on September 20, 1994, ratified by Parliament on December 2, 1994, and went into effect on December 12, 1994. The contract area has estimated reservs of more than 4 billion barrels of oil. During the past 3.5 years, the company has succeeded in achieving the world's best safety record in delivering a fast track, world-scale project. 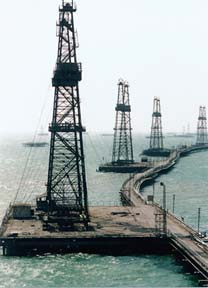 The company began oil production from its newly refurbished Chirag-1 platform on November 7, 1997, an event which was officially celebrated by the Azerbaijan government on November 12, 1998, with a number of high-ranking foreign government, state officials and delegations participating.